The concept of sterile blood no longer exists. Bacteremia occurs when pathogens enter the bloodstream. Many microbes simply enter the bloodstream transiently. 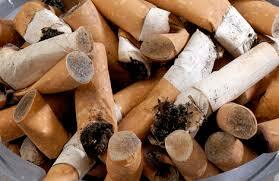 They are shed from the primary biofilm found in the mouth by chewing or routine dental hygiene at home. Higher concentrations of pathogens enter the blood by invasive dental procedures, including mechanical debridement, extractions, and endodontic procedures. It requires only 60 seconds for a pathogen to travel anywhere in the body as a result of an invasive dental procedure. Bacteremia results in “seeding” bacteria at potentially new systemic locations. These new sites are typically under stress and have become susceptible to invasion. Translocation is a pathogen’s arrival at a new systemic site from its point of origin. New biofilms or microbiomes of pathogens emerge at sites where these species are not normally found. The impact of these pathogens is the same wherever they colonize: cellular destruction. 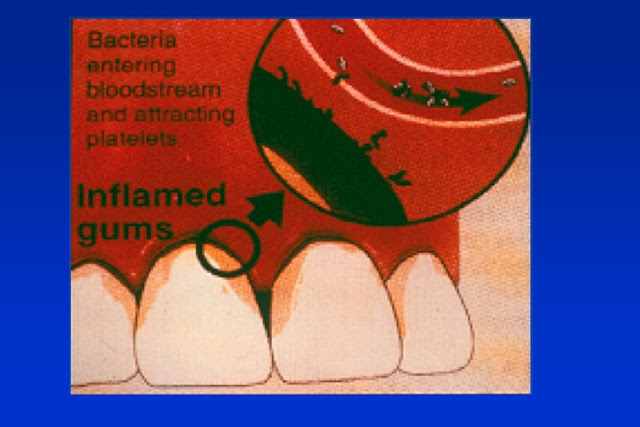 In the past several years, much evidence has shown a prevalence of periodontal pathogens in arterial biofilms and microbiomes. Recently, the term “co-occurrence” has become relevant as it describes the existence of two similar biofilms in the same patient at the same time. A study published in February 2017 found that a large group of patients who had both the symptoms of periodontitis and of heart disease had a similar profile of periodontal high-risk pathogens at the two independent locations. For three pathogens, the co-occurrence was at the 95% confidence level. Eight other pathogens were simply determined to have a very high incidence of correlation. In a dental practice, a simple salivary test can be performed to determine the specific bacteria that are present in the mouth, understanding that the very same bacteria that are found in high concentrations in the mouth also are found on the lining of the patient’s arterial walls. The goal of periodontal therapy should be to eliminate the bacterial etiology. Successful periodontal therapy must include antimicrobials and or antibiotics specific to the pathogens present in a given individual’s oral bacterial flora or biofilm. If periodontal therapy is only delivered with a local focus, what will become of the already translocated and in-place biofilms and pathogens in hosts who are medically or genetically compromised and incapable of mounting an effective immune response? Does a systemic disease warrant a systemic response? These questions need to be considered when periodontal therapy is warranted. Looking at periodontal disease as a bacterial infection that travels throughout the body is much different than looking at periodontal disease as a localized bacterial infection of the oral cavity only. Systemic mitigation of pathogens requires a total body wellness approach. Periodontal disease treatment must be considered a part of the preventive armamentarium for chronic disease management in the human body, which is a complex ecosystem.